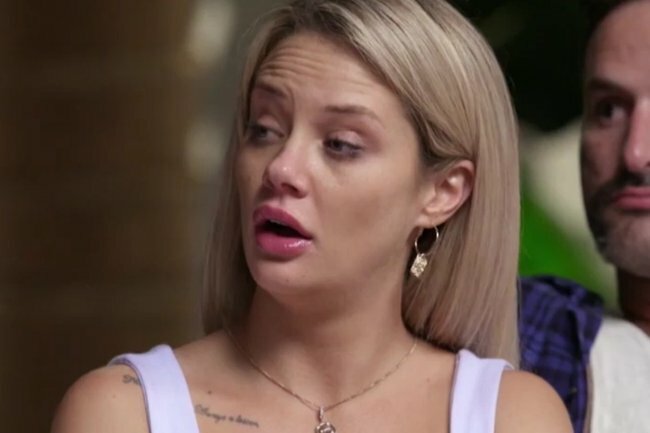 MAFS: Mick and Tamara, the unlikely couple we didn't see coming. There's a very unlikely pairing from Married at First Sight who now appear to be dating. On Sunday night we watched a woman force a man to stay in the prison of their fake marriage on Married At First Sight. Jessika refused to leave the show and her ‘marriage’ to Mick in order keep up her affair with Dan, who is married to Tamara and good lord this is infuriating. Poor Tamara and Mick remain oblivious to their partners’ betrayal, but months after the scenes were filmed in November, the pair seem to have made the best of a bad situation. By maybe getting together as the most fabulous revenge couple we never saw coming. Photos from Tamara’s 30th birthday celebration in Melbourne over the weekend (which have been published here by the Daily Mail) show the pair looking pretty friendly as Mick walks down the street with an arm around Tamara and she holds his hand. But what really makes us think they’re a couple is the fact that Mick, who on the show gives preciously zero f**ks and exclusively wears thongs that appear to have been purchased from a petrol station, is seen wearing stylish suede dress shoes. That is all the proof we need and we are so here for this. Meanwhile, Jessika and Dan are also officially together according to New Idea, making this a full-on partner swap situation. It just goes to show that the ‘experts’ had precisely zero idea what they were doing when they matched these people, which is, in fairness, entirely unsurprising. We picked these matches from a hat soz.